The Federal Radio Corporation of Nigeria(FRCN) In-House Unions have appealed to the Federal Government to exempt the radio station from remitting 25 per cent of its revenue to the government in view of its social responsibility and function as a service oriented public broadcaster. They made the appeal in a communiqué jointly issued by the President, Comrade Ifeanyi Udoh and the Secretary, Comrade Nafiu Busari at the end of a- three-day summit of the FRCN In-House Unions Summit with the theme, “the Effect of Welfare in Enhancing Productivity and National Security” at the Michael Imodu National Institute for Labour Studies, Ilorin, Kwara State. The FRCN In-House Unions submit, which was attended by the Director General of the FRCN, Dr. Mansur Liman, represented by the Zonal Director of Ibadan Zonal station, Mallam Mohammed Bello, who was the Special Guest of Honour and Mr. Sylvanus Namang, Zonal Director, North Central as the Chief Host among other dignitaries also called on the Federal Government to replace all obsolete equipment as well as explore the advantage of Digital Radio Mundial (DRM) technology. The participants at the forum also want government to relocate FM Stations situated in bad terrain to economically viable environment to strategically boost the revenue of the stations. The participants clamoured for the immediate purchase of new staff buses and operational vehicles and that the authority should expand the manning levels to enhance promotions of deserving staff. Representative of the in-house unions should be a member of the revenue and other sensitive committees at various zonal stations and the headquarters. The engagement of artistes should be stopped henceforth, as it is viewed as counterproductive. Instead, the artistes alongside those wrongly disengaged should be reabsorbed into the corporation as full time staff, using the window created by the National Assembly for the FRCN to recruit more staff. Having appointed the board chairman, other members should be appointed to properly constitute the FRCN board. Regular issuance of pay slips should be made available to staff through personalized emails or on the website for accessibility. Training and retraining of staff both within and outside the country should be continues. Immediate payment of allowances of staff as well as death benefits to families of deceased staff and prompt payment of repatriation allowances. Implementation of staff welfare provisions as stipulated in the Staff Regulations (as revised) in 2007, which is due for review. Implementation of 13th month and other welfare packages including Long Service Awards, end of the year and other seasonal festivities bonuses. The summit urged the Federal Government to provide implementable roadmap to address the issues raised by the unions not later than June 30, 2018, to avert industrial actions. 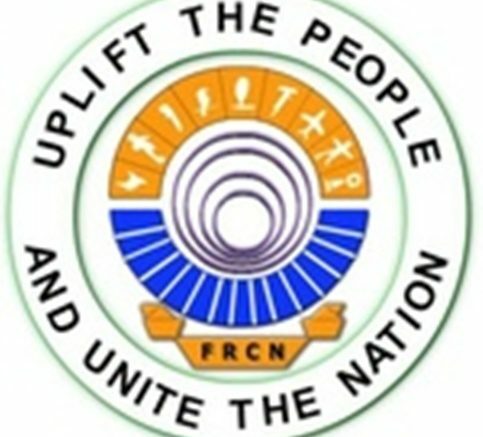 Be the first to comment on "Unions Ask FG To Exempt FRCN From 25% Revenue Remittance"